Stay up to date with our latest financial updates. Find out the financial events of IJM, like the release of financial results, Annual General Meeting, through the financial calendar. Be updated with the latest with our annual report. 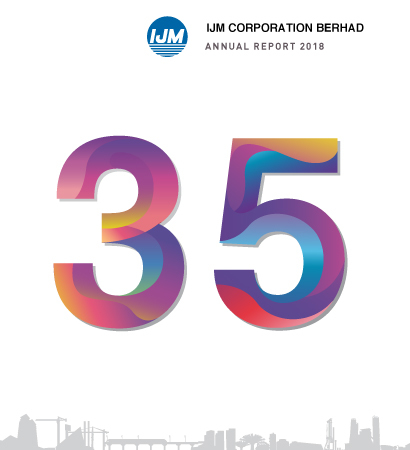 IJM celebrates 35 years of a winning-game, delivering one sterling performance after another, and ensuring our business remains sustainable. Through good governance, quality delivery and a team of committed employees, we have helped transform the face of the nation with ground-breaking construction, infrastructure and property development expertise. In doing so, we have also solidified our reputation as one of Malaysia’s leading builders. © Copyright 2018 IJM Corporation Berhad (104131-A) All Rights Reserved.